It’s that time of year where I want to start my day off with coffee on the patio and end it with a refreshing drink in hand. The window for patio season is fairly short in Wisconsin, so I try to squeeze in as much time outside as I can. Clearly, I’m not alone in this desire as outdoor patios and rooftop bars have begun to open their doors for the summer. While I enjoy hanging out at these locations, some nights I crave something more low-key. 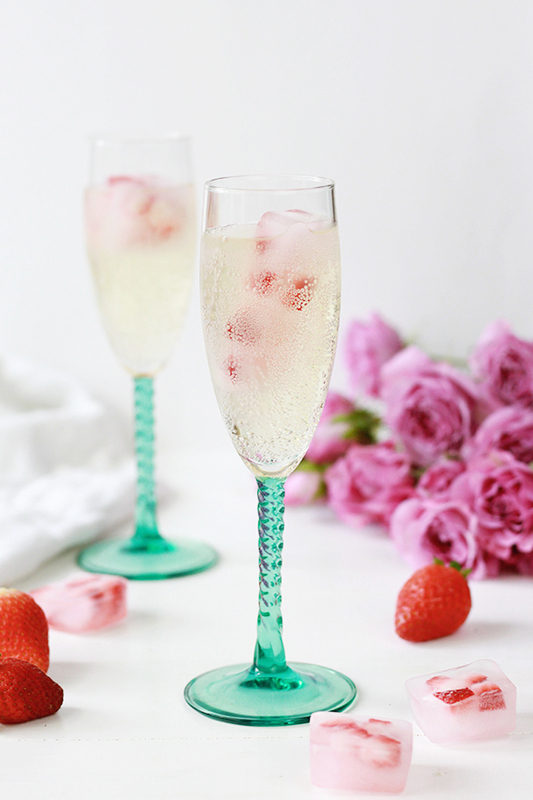 For those occasions, these strawberry champagne ice cubes can elevate a simple glass of champagne into a signature summer drink. 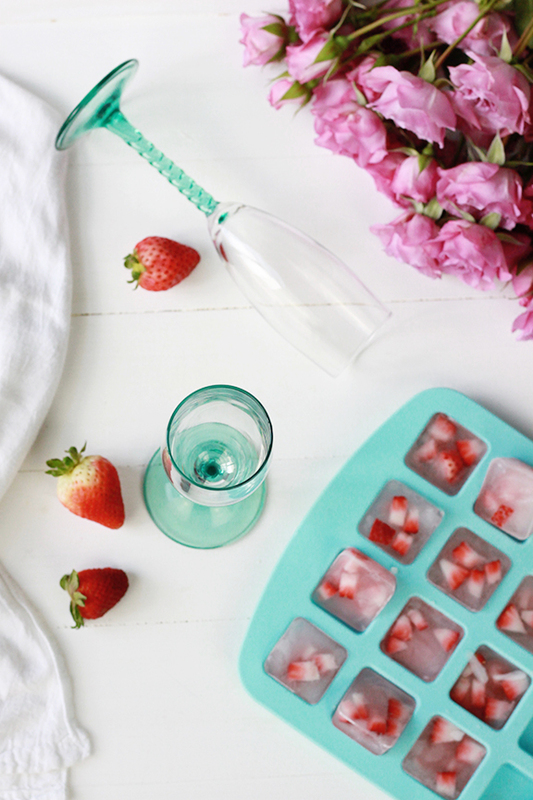 I fell in love with these strawberry champagne ice cubes for two reasons. First, they are practical. They keep my drink cool, without watering it down, even on a warm evening. They also add a pop of color and an element of fun to a classic glass of champagne. 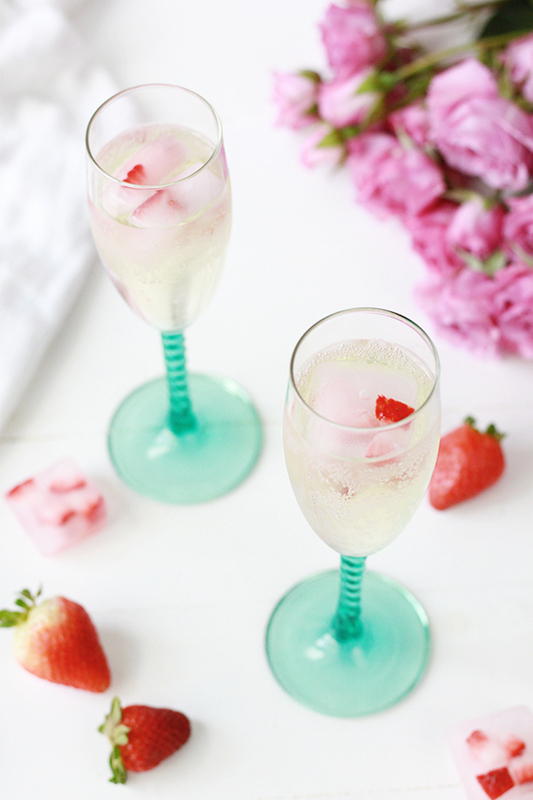 Whether you are sipping on a glass alone or hosting a party, these strawberry champagne ice cubes need to make their way into your freezer this season!